Using a story about a hive of bees stuck in a rut in their daily chores with a rigid hierarchical management style, the question we ask – are they capable of changing and adapting to a catastrophic situation? Do they have the leadership skills to pull them through? The highly engaging workshop culminates with the completion of a summary to capture the learning and actions against all of the elements of the program. Paul Rigby will produce a “helicopter view” summary that can be expanded and improved upon immediately by attendees after the workshop. A set of actions that can be acted upon NOW! 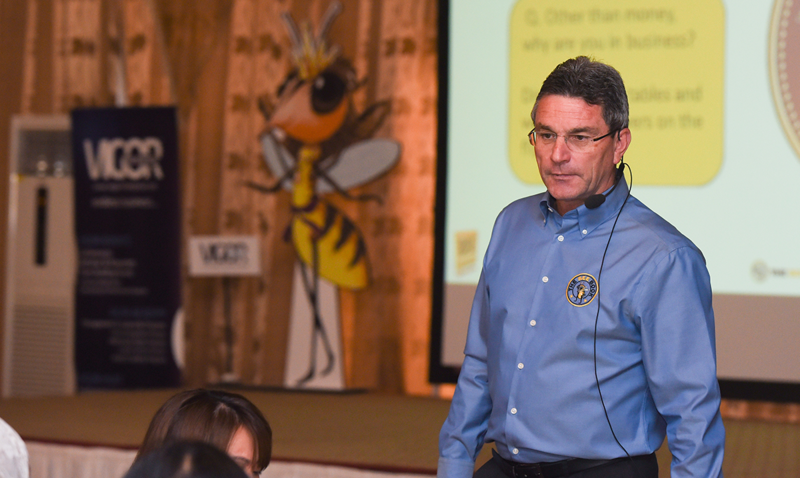 Paul Rigby is the leading trainer & certified master consultant of the BEE FIT FOR THE FUTURE™ Workshop, he consults with business partners and frequently assists them with their change, innovation, leadership and employee engagement efforts.